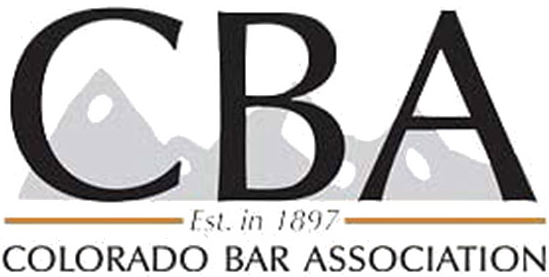 As we discussed previously, it’s required by law that if you drive a car in the state of Colorado, you must have bodily injury (BI) coverage of at least $25,000 if you cause an accident and injure somebody. But that is only one type of coverage that is available for people to have when driving a car. It is also mandatory that insurance companies offer you uninsured/underinsured (UM/UIM) motorist coverage in the same dollar amount as the BI coverage that you select. So what is it? The easiest way to explain it is by using an example. Let’s say that a person is in an a crash that is caused by the negligence of another person running a red light. For the sake of explanation, let’s also assume that the person who was hit is also seriously injured in the collision. The first source of insurance that the injured person would be able to pursue is the BI coverage of the driver who hit her. Now let’s also assume that the negligent driver only carries a BI policy of $25,000 per person. It’s not unusual at all for an individual’s medical bills to reach or exceed $25,000. Being transported from the scene of a crash by an ambulance generally costs about $1,200, being seen in the ER and then released with minimal treatment and maybe some pain medication can very easily cost in excess of $4,000. And this is what is happening just after the accident. Now add in treatment received over a long period of time such as a year or more after the collision and you can understand that medical bills add up very quickly. So once the $25,000 policy is exhausted what is an injured person to do if their medical bills and other losses are more than that $25,000? You could sue the other driver, but let’s face it, if the other person isn’t independently wealthy, the likelihood that you will ever recover compensation for your losses is pretty low. Uninsured/underinsured motorist coverage is how one protects themselves. UM/UIM coverage activates with the exhaustion of the underlying BI policy. So let’s say that you have the BI policy of $25,000 and a UM/UIM policy of $100,000. This would mean that once the BI policy is exhausted and you still have harms and losses that have not been compensated, the UM/UIM policy (specifically the underinsured portion as the word suggests) activates and provides an additional $100,000 of coverage for the injured person to draw on for compensation. This means that the injured person has a total of $125,000 in funds available to compensate them for their losses. So what does the uninsured part of UM/UIM mean? It’s very similar, the only difference is the lack of insurance in its entirety on the part of the negligent driver. So if a collision occurs and the other person does not have any automobile insurance at all, the uninsured coverage activates and, in our scenario, the injured person now has a total of $100,000 of funds available for compensation. Coming back to our original question, do you need UM/UIM coverage? The answer is absolutely yes. It’s not a matter of contemplating increased costs associated with this type of coverage. In general you should find that it is relatively inexpensive. It’s a matter of acting prospectively in order to provide financial protection for yourself and your family.